Online furniture retailer Furniture123 offers a wide range of outdoor products with new items added in the run up to those precious summer months. 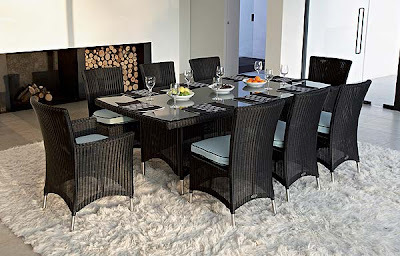 The range includes tables and chairs, outdoor sofas and armchairs, barbeques, drinks trolleys, parasols, loungers and hammocks, outdoor heaters and other accessories. Whether your outdoor space is a large lawned garden or a small decked patio, Furniture123 will help you make the most of it. 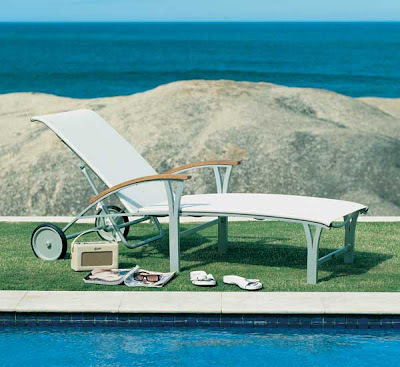 Make the most of the Great British Summer with a stylish sun lounger. The Gemini has curvy arms and large wheels for a flawless retro look. It has an adjustable back rest and is easy to move – so you’ll never miss the sun. 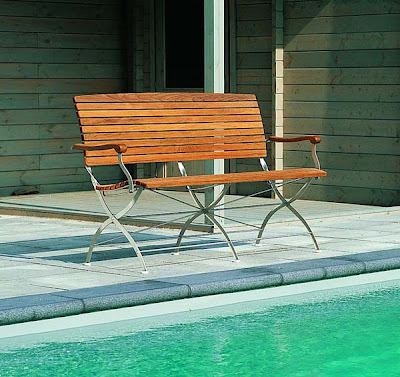 It is made from teak and aluminium and is suitable for all weather conditions. All weather furniture is a perfect solution for those who want stylish pieces they can use all year round, and it doesn’t have to mean cheap, flimsy furniture. This Valencia dining set requires little maintenance and is specifically designed for comfort, durability and practicality. Suitable for use in a conservatory or garden, the 13 piece Valencia range is available in two décor-friendly colours. For many homes outside space is at a premium and may only be a balcony or yard. Folding garden furniture is easily moved and stored away, offering the best use of a small space. The Kingsley range from Lister includes this compact two seater bench that is still big on style and quality. The combination of teak and stainless steel provides long lasting, easy to maintain furniture. As the UK’s largest online-only furniture retailer, you will find a fantastic selection of items for every room in the house, as well as the garden, all accessible from the comfort of your own home. Furniture123.co.uk offers free delivery on all items to mainland UK. The 7 day money-back guarantee ensures that customers are able to receive a full refund if they are unhappy with their purchase. NOW AVAILABLE - Visit our new online press office and download high resolution images at the click of a button! Pin It Now!